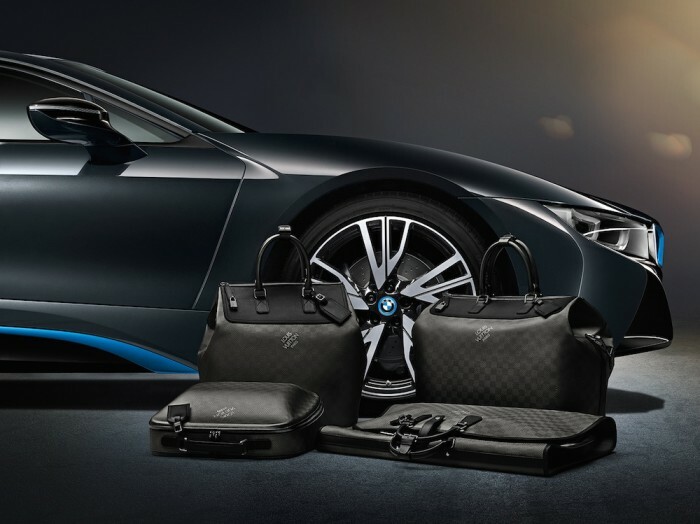 From one icon to another, Louis Vuitton making custom luggage for BMW is a match made in luxury heaven. 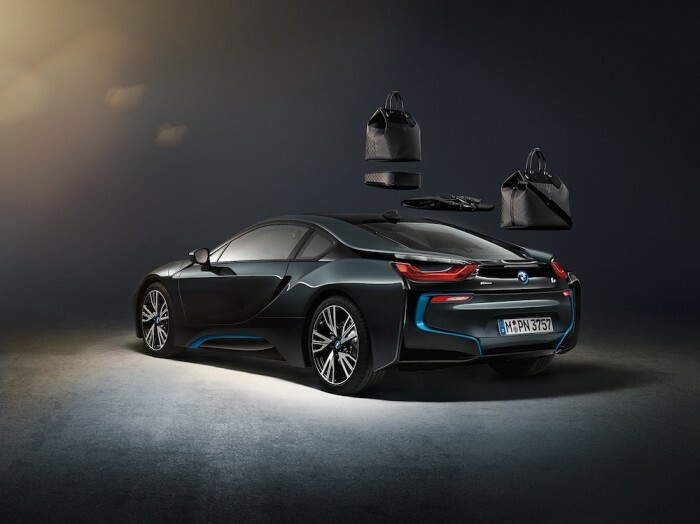 As announced today by German automaker BMW, French luxury giant Louis Vuitton has created a set of tailor-made luggage for their most advanced sports car – the BMW i8 plug-in hybrid. The luggage collection consists of two travel bags, a business case, and a garment bag. 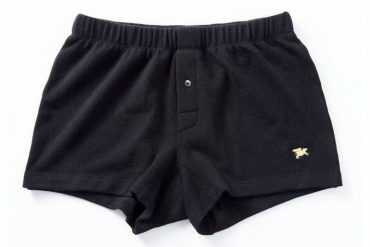 All made to perfectly fit in the space challenged sports car’s nooks and angles. 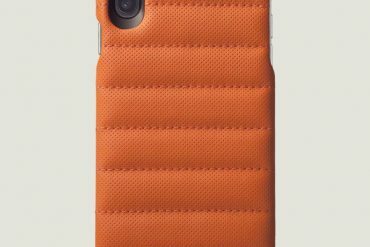 Each item has its own place inside the interiors of the BMW i8. 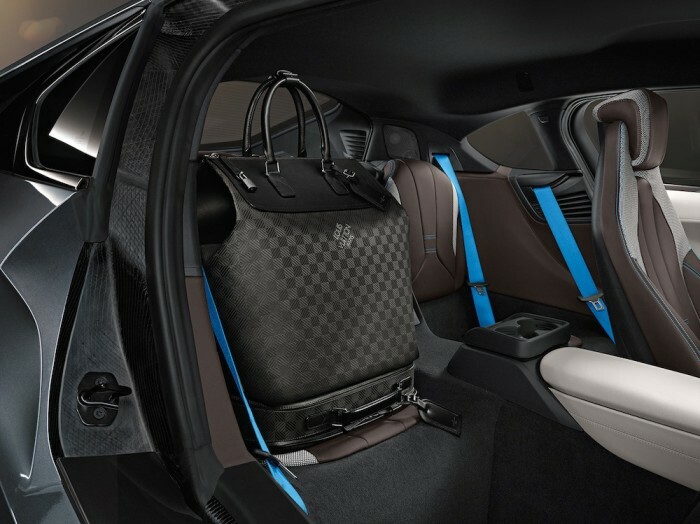 The Weekender GM i8 with both hand and shoulder carry straps, is custom-designed to go into the trunk, while the sturdy hard shell Business Case i8 is for the back seat. 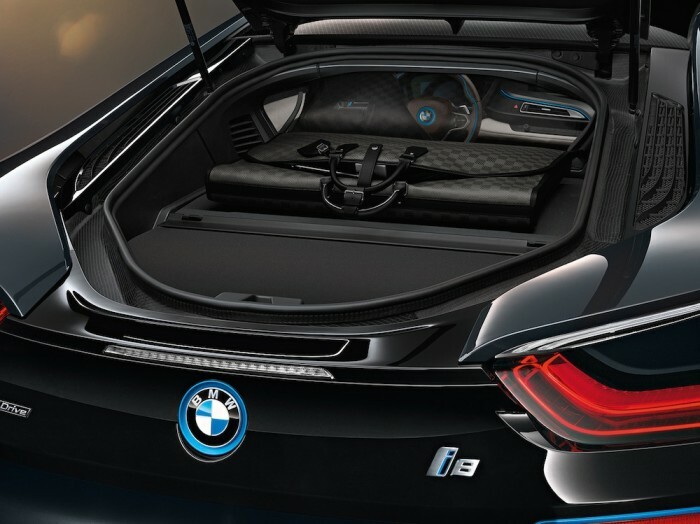 The Garment Bag i8 is a perfect fit snugly on the rear shelf and the small Weekender PM i8 can easily rest on the floor. Made from light weight and sturdy carbon fiber, it is the same high-tech material used in the car’s passenger cell. 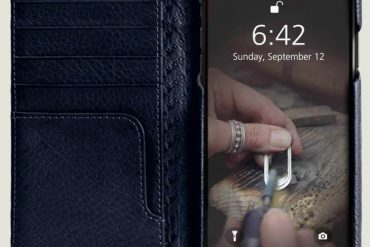 By using carbon fiber Louis Vuitton has created a special type of textile to use for the luggage set. 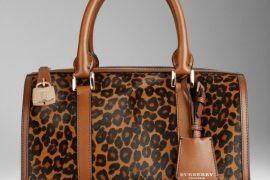 The print on the luggage is Louis Vuitton’s distinctive Damier pattern with Louis Vuitton signature laser-etched. Luggage set feature handles made from dyed natural leather, leather name tags, and the iconic Louis Vuitton padlock in all except the garment bag. 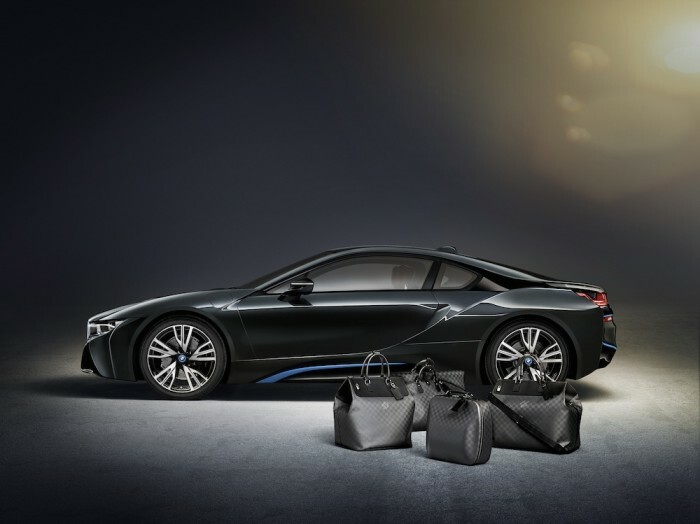 The carbon black of the luggage set and the interior microfiber lining in black and electric blue are chosen match the brand colors of the BMW i8. 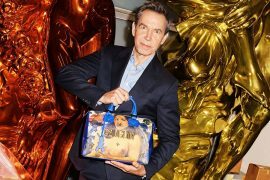 The Louis Vuitton luggage series will be available upon request in a selection of Louis Vuitton stores worldwide (Munich, Milan, London, Paris, Moscow, Dubai, New York, Los Angeles) starting April 1, 2014.